The Norwood Hotel is located in a landmark location on the corner of The Parade and Osmond Terrace in Norwood. Serving the people of Adelaide for over 100 years, this institution incorporates the Irish pub, Fin MacCool’s, and the Osmond Terrace Function Centre, next door. They’re well known for their live music as well as their extensive range of beers. 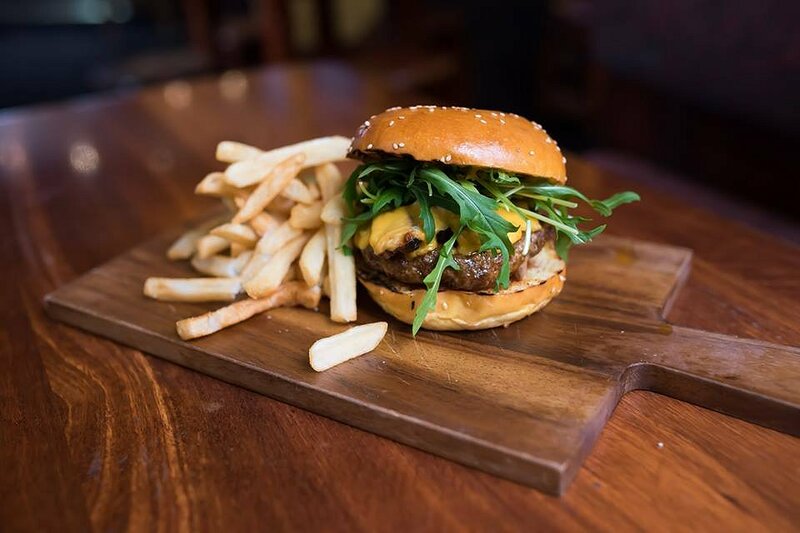 As for the food, it’s modern Australian cuisine with something to suit everyone’s taste. Today, we started off with the Pancetta Chicken. 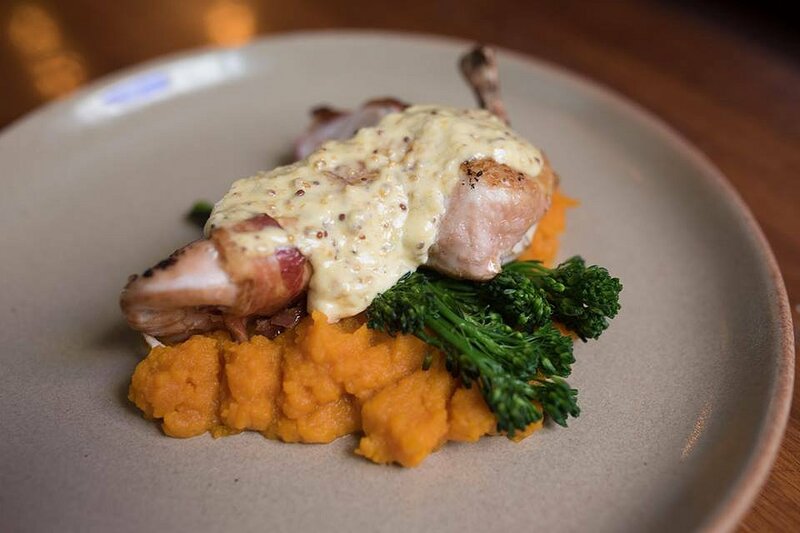 The chicken breast was juicy and succulent, and was given more depth by the saltiness of the pancetta wrapped around it. The pumpkin mash was smooth and creamy, and the grilled broccollini was soft but firm. The dish was topped with a creamy sherry seeded mustard sauce which wasn’t overpowering but still brought all the elements together. 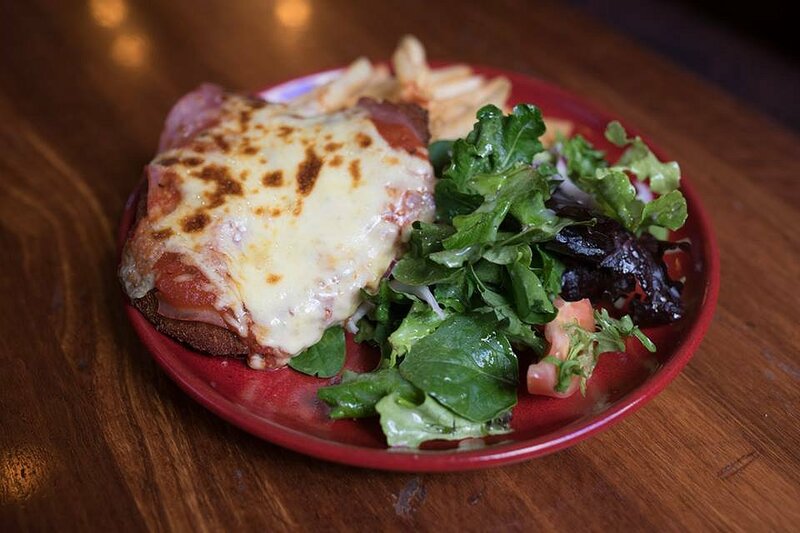 With this cold winter weather we’re having, there’s nothing more appropriate than a Chicken Parmy. We were initially impressed by the size of the schnitzel; nice and thick, and taking up half the plate. The chicken was perfectly cooked, and the herb and parmesan coating was absolute delight. It’s a personal preference as to whether you like ham on your Parmy, but we didn’t mind it on this one. The mozzarella cheese was grilled to a light golden brown and the napolitana sauce was just right. Not bad with a fresh, crisp salad and a side of crunchy, well salted chips. Next was the Graziers Beef Pie. This dish is also the ideal winter comfort food. The golden pastry was flaky, but firm enough to hold all the filling. Inside were tender chunks of beef that were swimming in a rich gravy. 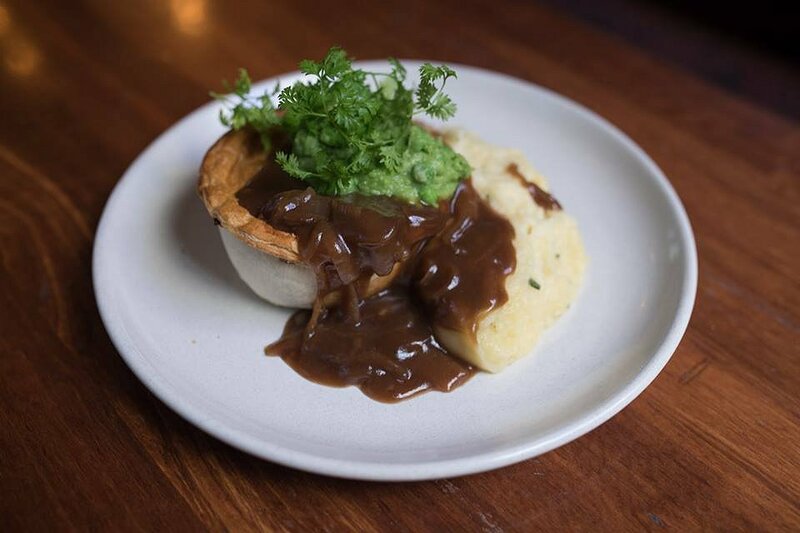 The mash potato was smooth and creamy, and soaked up the delicious peas and onion gravy. Last but not least was the Norwood Burger. The house made beef patty was thick and juicy, and its circumference was the same diameter as the bun. The cheese was nicely melted over the beef, and the rocket was fresh and crisp. The grilled speck added some saltiness which was balanced by the generously applied tomato relish. The brioche bun was firm and held all the ingredients in well. The Norwood Hotel is open everyday from 11am till late.